There are a variety of GF pasta out there, except my only problem with them is that they are SUPER high in carbs as they’re mostly made with starches and rice flour. If you’re simply on a gluten-free diet, then those pasta noodles may be alright for you, but for me, eating just a cup of GF pasta would be the exact equivalent of eating a cup of wheat pasta. I haven’t found a brand of GF pasta that is low-carb yet (and there isn’t really anything GF in Japan…), so I’ve been using zucchini to eat pasta! It’s much more healthier and taste absolutely deeeeelicious! 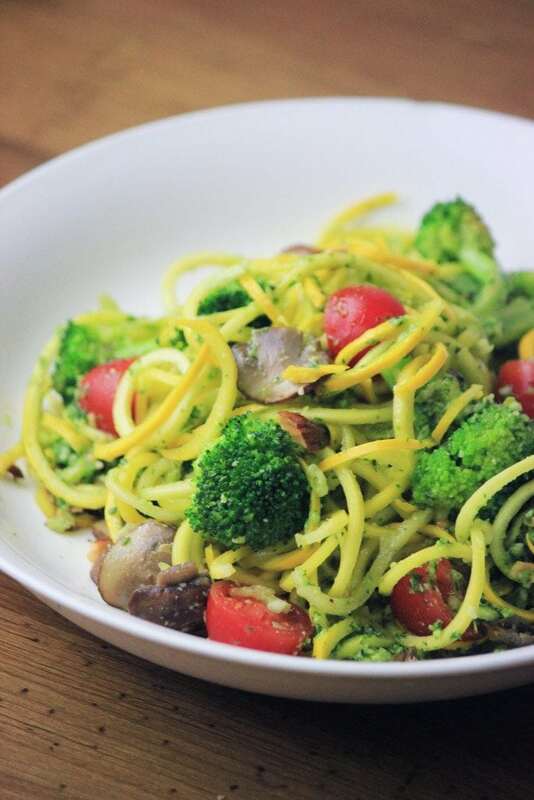 I made these zoodles with my spiralizer and I used my Parsley Pesto Sauce. 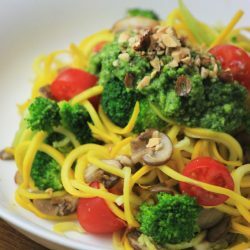 Zoodles are really fun to make, they’re low-carb, gluten-free, low-calorie, and look beautiful! Eating pasta this way is a much healthier way than the normal kind. For this pesto dish, I decided to add in some cremini mushrooms, broccoli, and fresh cherry tomatoes. I topped this delicious combination with some chopped almonds for some extra crunch! 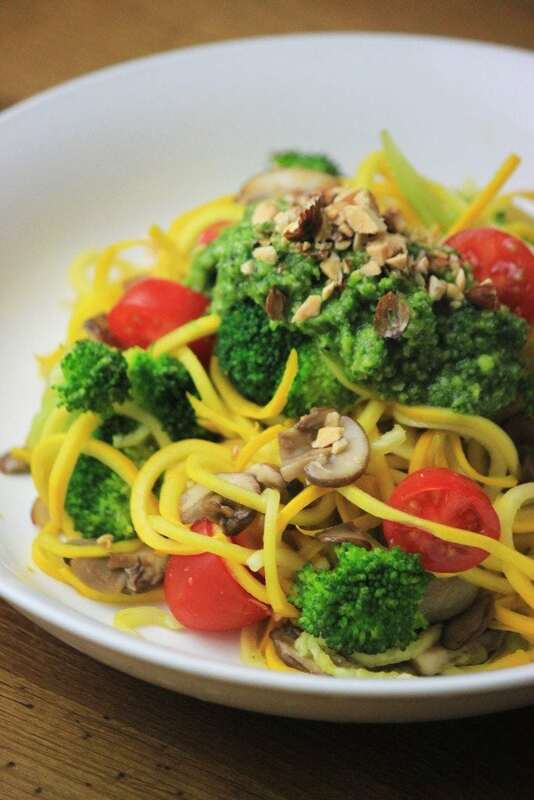 For this recipe you can choose to use the parsley pesto sauce with or without cheese! I’ve included the nutritional value for both options so you can know how many calories and carbs you’re eating 🙂 This dish is PALEO if you use the parsley sauce without cheese! 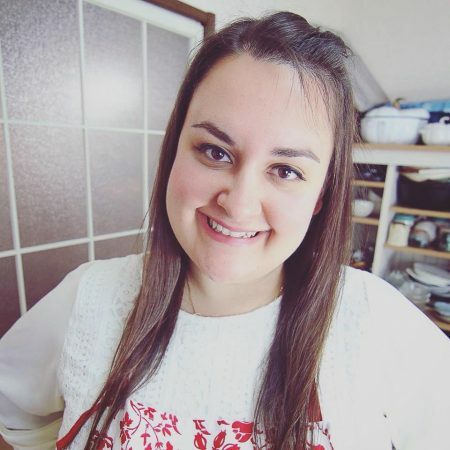 Click HERE to get my spiralizer! 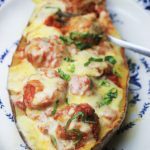 A delicious low-carb alternative to wheat pasta! Slice the mushrooms and tomatoes. Cut the stems off the zucchini. Chop the almonds. 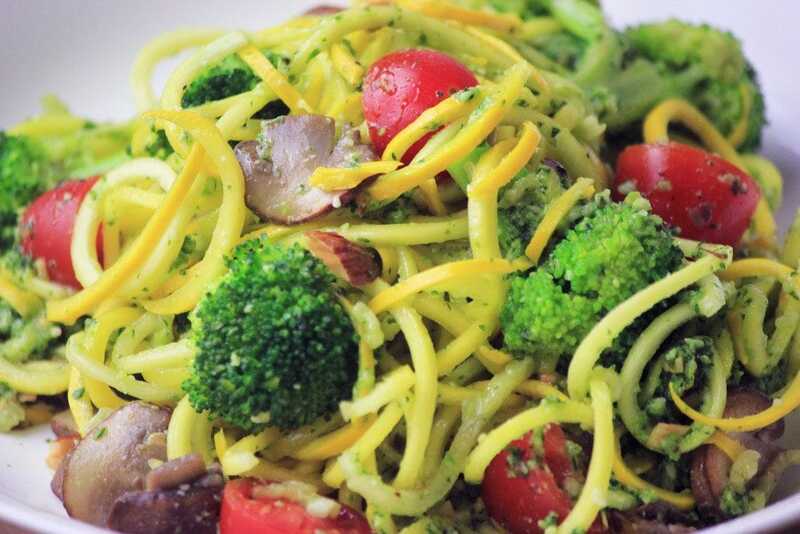 Using a spiralizer or spiral vegetable slicer, slice the zucchini into noodles. Turn off the heat and add the fresh tomatoes. Mix in the pesto sauce and cover with the chopped almonds. *The longer you cook the zucchini, the less crunchy it will become and it will become really wet. I like to cook it only 30 seconds so that it doesn't add lots of water to my dish. Tried this recipe?Mention @mypcoskitchen or tag #mypcoskitchen! Follow me for more Low Carb Recipes!Mention @MyPCOSKitchen so that I can see all of your goodies!! Nutritional information is provided through calculations made on fatsecret.com. They are approximate only. 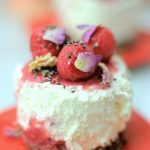 We cannot guarantee the accuracy of the nutritional information given for any recipe on mypcoskitchen.com. Sugar alcohols are included in the fiber count. Net carbs are the total carbs minus fiber (which include sugar alcohols). All text, pictures & videos are copyright protected © by Mira Richard-Fioramore for My PCOS Kitchen. Shares are very much appreciated, just make sure to share a link and not a screenshot. Copy/pasting full recipe text to websites and social media is prohibited. Excerpts, single photos, and links may be used, provided that full and clear credit is given to www.mypcoskitchen.com with appropriate link back to the original content. Made this today and added chicken! So good! Unauthorized use and/or duplication of this material without express and written permission from this blog’s author and/or owner is strictly prohibited. Excerpts and links may be used, provided that full and clear credit is given to Mira Fioramore and My PCOS Kitchen with appropriate and specific direction to the original content. The photos on this blog are copyright protected. 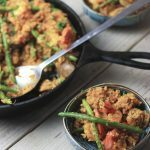 If you wish to share this recipe, simply provide a link back to my blog.